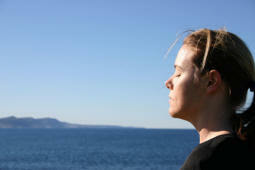 Take time out to visualise and meditate with the Meditation Society of Australia. 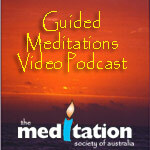 The guided meditations feature video footage from around the world designed to inspire and illumine. The Meditation Society of Australia has no religious, political or financial affiliations, it is a community organisation designed to help people meditate. The ocean drops are connecting with you, the sky is connecting with you, the clouds are connecting with you and love is the force that connects so open your heart, open your heart with gratitude. Every event in your life is a gift, receive it with love and gratitude. Am I living my highest and deepest vision of myself? Am I settling for what is easiest, what my parents or my friends want rather than living the highest dreams that I have for myself?. For hundreds and thousands and even millions of years the ocean has done this. It has breathed against the shores of country after country. Shaping the crevices and caves and cliffs, smoothing the sands, exposing and carving the rocks for the myriads of life forms that evolved and found just the nutrients necessary for them to grow and thrive. 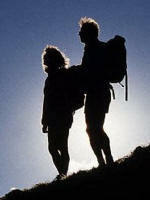 We are much larger than one tiny human being, it is our Aah moments that show us this.